Shriram Automall- Used Tractor Buying Guide! Tractors in India are a major industry and significant contributor to its agriculture output gains. Tractors are an integral part of mechanization and have a crucial role to play in increasing agricultural productivity. Indian tractor industry is relatively young but now has become the largest market worldwide. According to industry sources, the tractor market is expected to clock among the highest segment growth in the automotive industry this financial year. Tractor marketers say the growth trot is already visible in the first quarter which places tractors among the top growth driven sectors in the auto industry. Being in the agriculture business I understand how important it is to get the tractor that’s right for your needs. The right tractor can help you manage ongoing tasks on your farm or land and can streamline your entire operation. That’s where Shriram Automall helped me. Since the time I have come across Shriram Automall; my life has become so easy. Being into the industry since 20 years I believe it is so essential to get the right equipment for your needs but it is not always possible to afford it. In that case, platforms like Shriram Automall, which is the largest player in the market for providing pre-owned vehicles and equipment in good quality and at negotiable rates, help you to make the most informed decision possible. Shriram Automall has made the complete process so easy and accessible by providing us large number of inventories at a single place and by providing easy financing options. Their bidding events follow an organized procedure where in we can visit nearest Automall to inspect a range of pre-owned tractors. Not only this, they also enhance the reach of pre-owned tractors through their online bidding process which can be used while sitting anywhere in the globe. I am glad to be associated with this group. Their quality of work has demonstrated that they are the best service provider for exchange of used tractor in the market, with a presence in both physical and online bidding platforms. They help me in searching the right tractor while achieving the high quality and safety standards. So, if you too are looking forward to buy or sell your pre-owned vehicles or equipment, Shriram Automall is right choice which provides you best of their services while making your experience both easy and comfortable. Shriram Automall India Limited (SAMIL) which is India’s Largest Platform for exchange of pre-owned vehicles and equipment is also the name synonym for world class customer experience. Customers who are already a part of SAMIL on one hand are taking benefit of company’s unique & transparent bidding platform and on the other hand are experience the best customer services across the country. As and when a new customer visit his/her nearest Automall to acquire his desired pre-owned vehicle, he is greeted with a customer service executive who not only explains them about the process but also guides them on how to emerge as the highest bidder and win the vehicle they are looking for. As SAMIL offers the most extensive line up of used commercial vehicle, construction equipment, cars, tractors, two & three wheelers, the Automall witness diverse crowd with diverse requirements who are required to be handled in a different manner altogether. Also to help the children of our customers to continue their education in a hassle free manner, SAMIL offers scholarship to students who are studying in between 8-12th Class. Meanwhile if you are looking to buy a pre-owned vehicle or equipment, head straight to Shriram Automall and let us help you acquire the vehicle of your dream. It’s no new news that, India while overtaking China has emerged as the world's biggest market for two-wheelers. As a total of 17.7 million two-wheelers were sold here last year, that's over 48,000 units every day. The need for mobility is very large in India, and country is also has one of the fastest developing economies in the world. Easier finance options, newer and more fuel-efficient models, rising incomes have only added to the push even as new business models, such as e-commerce, also help purchases. Two-wheelers are increasingly becoming the second vehicles in the household, and women plays quite an important role in making India the world's biggest market for two-wheelers, as women today is independent and look forward to comfort and style in everything they own – whether it’s a pair of shoes or conveyance for commuting to various places they desire. Therefore, many players in the industry have started dealing in used two-wheelers. But Shriram Automall India Limited (SAMIL), being the only and No.1 Service Provider of Used Vehicles & Equipment in the country has bought huge variety of two-wheelers of every make and model at optimal prices. Company understands that, buying a used two-wheeler isn’t as easy as it sounds. So, here are quite a few things you need to consider when buying a used two-wheeler. Buying a used two-wheeler is a smart move as it saves you money, and let you acquire the better model at low cost. Now choose the right for you at optimal prices. If you are looking forward to buy or sell used vehicles, equipment or vehicles compliant with latest government emission norms, SHRIRAM AUTOMALL is the best place to come to. Visit your nearest Automall or download “MySAMIL APP” to go through their latest inventory filled with used vehicles of every make & model. You can also click the link below to simply register yourself. Infrastructure sector is a key driver for the Indian economy. For propelling India’s overall development, sector is highly responsible, thereby enjoys intense focus from Government for initiating policies that would ensure time-bound creation of world class infrastructure in the country. Government of India while paving the way for a better quality of life and a rapid rise in gross domestic product (GDP), is looking forward to focus on the infrastructure of the country for further growth. As country’s infrastructure holds the key to potential India. As outlined in the next Five Year Plan (FYP), Infrastructure is one of the plan's primary areas for spending, with about Rs 31 trillion (US$ 454.83 billion) earmarked for investment with 70 % of funds needed for power, roads and urban infrastructure segments. Construction equipment sector of the country being the earthmoving industry, thereby has already clocked a growth rate of over 40%, in the last six months. According to a top official at JCB India, Construction equipment segment has already witnessed a robust growth in the first half of this calendar year. For constructing infrastructure that government is planning, huge investments in the equipments has been made resulting in demand hike of both used and new construction equipments. Shriram Automall India Limited (SAMIL), with its widely spanning 68 Well Established Automalls & 150+ Bidding Locations, in both rural and urban areas, provides huge range of used construction apparatus of every make and model at optimal prices, making it easy for the Dealers to acquire or dispose used equipments, in any nearby Automall with ease and convenience. If you as well are looking forward to acquire or dispose used vehicle & equipment, SAMIL is the best & no.1 choice. All you have to do to experience deals through their innovative bidding platforms, is to click the link below to register yourself, you can also download “MY SAMIL App” and easily go through the vast inventory at your comfort. SAMIL helps to grow Indian Second Hand Trucking Industry! The trucking industry is an integral part of the Indian economy. As in India, driving a truck is also a profession which directly affects Indian economy. With the expansion of truck market, used truck market in India is also expanding at the remarkable speed especially when government is boosting on-road worth of trucks in long run through latest rules and regulations. Government is taking all the necessary steps for the betterment of Road Transport in India. With AC & BS IV emission norms being mandatory, manufacturers now are focused to woo buyers, by adding upgraded technology in upcoming new models of Trucks. All these new upgrades, new advance look & technology in the upcoming trucks will attract the customers resulting in increased demand of these trucks & thus it will lead to rise in the demand for used truck as well. While focusing majorly on the truck demand in the country, Shriram Automall is launching the entire pre-ownedtruck bazaar through its exclusive app Onestoptrucks.in. This application works as search engine for used trucks where one can get details of thousands of listed used trucks and also it offers the simplest way for to sell the trucks by registering them online. This facility aims to make both buying and selling used trucks from anywhere and everywhere easy & convenient. BUY & SELL: Makes buying & selling of Used Trucks simple and comfortable. EASY TRUCK RESEARCH: Explore all the details for used trucks like specs & model by accessible search engine. WIDE RANGE: Provides many options for used truck inventory. COMPARE TRUCKS: Compare features, price, mileage etc. to reach a logical conclusion. VALUATION: Helps to determine the current value of your Truck. EASY FINANCE: Assist in buying the vehicle. 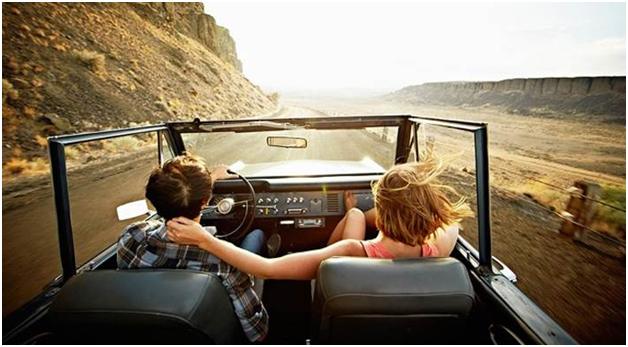 ONLINE INSURANCE: Apply for insurance for any vehicle online. So, if you are looking forward to buy or sell your pre-owned truck, Shriram Automall is right choice which provides you best of their services while making your experience both easy and comfortable. Shriram Automall – One Stop Service Provider! For most people, car buying is a nightmare. To tell you the truth, I’m one of them. I want the best deal for the vehicle I’m buying. But I am very bad when it comes to the patience of going through multiple brands and showrooms to find the best one for me. As you know, dealerships, particularly of usedcars, have carried the stigma of being the playgrounds of hungry salespeople that just push customers for forced sales. Car buying is not a very happy experience for many as the studies shows that 75% of car buyers worldwide would rather skip the dealership and execute the entire process online. That includes the financing, the price negotiation and documentation. The same study found that 80% of prospective buyers are thoroughly gathering all the required information online ahead of a purchase. So in other words, the internet has armed buyers with more information than ever before, but many people still hate negotiating with dealers. And over the last decade, multiple tech companies have made it very convenient for buyers to look around and find a vehicle of their choice.Tech Savvy firms have utilized big data analytics along with car shopping experience to give customers a hassle-free buying experience. The customer is basically looking for one stop shop where he can view, bid, negotiate and get his vehicle financed. Shriram Automall India Limited has become successful in the last 6 years to give this comfort to the customers to give extraordinary experience when it comes to buying a pre-owned vehicle. From physical bidding format to bidding from a comfort of a user-friendly application, the customer doesn’t need to go anywhere else for his pre-owned vehicle requirement. With a pan India presence across 65+ locations now, one is bound to find the vehicle of his choice by partnering with Shriram Automall. So, if you are looking forward to buy or sell pre-owned vehicle, Shriram Automall is right choice which provides you best of their services while making your experience both easy and comfortable. Also, take a step forward and download the app now from Google Play Store & Apple iTunes Store by typing ‘MySAMIL’. In that case, platforms like Shriram Automall which is the largest player in the market for providing pre-owned vehicles and equipment in good quality and at optimal rates help us a lot. Shriram Automall has made the complete process so easy and accessible by providing us large number of inventories at a single place along with the options of easy finance. Their physical bidding events follow an organized procedure where in we can visit nearest Automall to inspect a range of pre-owned equipment. Not only this, they also enhance the reach of pre-owned equipment through their online bidding process which can be used while sitting anywhere in the globe. In fact, their private treaty platform enables us to make the transaction without participate in any bidding process with personalized approach and negotiated deals. I am proud to be associated with this group. Their quality of work has demonstrated that they are the best service provider for exchange of used equipment in the market, with a presence in both physical and online Bidding Platforms. They help me in searching the right equipment while achieving the high quality and safety standards. So, if you are looking forward to buy or sell pre-owned equipment, Shriram Automall is right choice which provides you best of their services while making your experience both easy and comfortable. How SAMIL transformed a truck driver to a truck owner! There are selected occupations you ought to think multiple times before even considering applying for a job in the field. Truck driving is one such occupation. Initially I was excited about becoming a trucker, and understood that it would be hard work and was willing to put in all I got but I do take offense of not owning a truck. I've driven over the road for the company for 28 years, as a company driver and that’s when I came across Shriram Automall India Limited (SAMIL) which transformed my life from being a truck driver to become a proud owner later of two trucks. The most exciting part of being an independent trucker, as an owner operator, is buying a truck that suits your needs and tastes and that’s where SAMIL helped me. Shriram Automall India Limited (SAMIL) which is India’s most trusted platform for acquiring of used vehicles& equipment in a transparent & organized manner helped me in every step. They allowed me to inspect the truck before the purchase which helped me to judge the actual condition of the vehicle. The best part was they had multiple choices to choose from under one roof. Not only this, they made my life easy by providing the facility of finance on the desired used truck with its parent company Shriram Transport Finance. I feel proud as its one thing to be an owner of a truck than just a truck driver. There are lots of perks and a great deal of pride which SAMIL has given me that comes with owning your own truck. So, if you too are looking forward to buy a preowned truck, Shriram Automall is right choice which provides you best of their services while making your experience both easy and comfortable. In line with the global trend, 2016 was one of the warmest years on record for India. In 2017, summer heat has broken all records, as in beginning of May only temperature has crossed 39°c and temperature is only expected to grow. According to the Indian Meteorological Department (IMD) said that temperatures — minimum, maximum as well as the mean — are likely to be “above normal” till June in every meteorological sub-division of the country. At this peak hot moment, is when holidays arrive and everybody looks forward to go somewhere cool, relaxing, where temperature does not hit you as bad as it is doing right now. Though it probably will be as it’s hot everywhere. But what you can do is take care of your vehicle, which is going to accompany you on the road towards your small vacation to avoid on-road trouble & crisis. As summer’s high temperatures, flurries of dust & dirt and the occasional rain can all take a toll on your vehicle’s most important systems. Therefore to make your vehicle ready to handle some sun-drenched driving, Shriram Automall India Limited (SAMIL), has bought some essential tips for you, using which you can better prepare your car to run smoothly and safely through summer and into fall. Get your oil and oil filter changed: Intense weather conditions of any kind (wet, hot, or cold) can put extra demands on your vehicle’s oil and oil filter. So if your last oil change was awhile ago, go for it. Double-check your fluid levels: This includes oil, power steering fluid, transmission fluid, antifreeze, windshield washer fluid and brake fluid. If you have not changed your oil in the last 3,000 miles, now would be a good time to change it. Check and monitor your tire pressure: Underinflated tires can cost you in terms of fuel economy. Modern tires don’t deform until they’re drastically low on air, so, don’t go on looks and be sure to bring a tire gauge and check the pressure often throughout your trip. Evaluate your alignment: Get your vehicle’s alignment checked out if your steering wheel vibrates when you pull your car to one side or your steering wheel isn’t centered when you’re driving straight. Check Hoses: In a car, hoses are regularly exposed to temperatures around the 212-degree boiling point. At high temperatures, the plasticizers that make rubber squishy leach out at a faster rate. Once a hose gets hard, it cracks and hot water spurts out. Look for bulges or blisters, which indicate a weakness in the hose wall. If your hoses have cracks or blisters, replace them. It’s easier to do it now than in the 112-degree heat on the road. As a precaution, also buy a hose-patch kit at the local auto parts store. Test your battery: If the battery in your car is more than a couple years old, check that the terminals are corrosion-free and the positive and negative leads are tight. Summer heat accelerates the rate of fluid loss and resulting oxidation of battery components, which can leave you stranded without warning. As most people don’t realize that heat is the number one cause of battery failure and reduced battery life. So, fix it before moving on to the road for the trip. Check Engine Belts: Check the engine belts by turning them sideways with your hand so you can see the friction surface. If they’re at all ragged, torn, cracked or showing the fiber cords, it’s time for fresh ones. As if you won’t, you’ll have to retention it or it may fall off, usually at a really inopportune moment. Engine coolant: If your coolant is rust-colored or looks like mucky pond water, it’s time for a change. And not every coolant is same, so make sure to change the coolant according to manufacturer’s recommendation. Get your brakes inspected: There is nothing more important than good brakes in your vehicle, So, whether your brakes are making eerie noises or demanding extra pressure, it’s may be time for some fine tuning. Rest get a tune up and make sure your tires, battery, fluids and belts are all in prime working condition. Also, consider it a yearly physical for your car. Now all you have to do is pack strategically, as we hope that we have played our role in making sure your vehicle is safe and road-trip ready! Use only manufacturer’s approved fluids. Do not over-inflate the tires. Follow all safety precautions when checking fluids. Never open a hot cooling system. I am Shivam Kumar (35) an Industrialist, sometime back, a friend had come over to my place and at the fall of the night, we both were hungry so we finally decided to use the best food delivery app and ordered ourselves couple of pizzas and pad thai noodles. This is the power of the Mobile Applications today. It gives us everything in our sub 10k handsets. These days, people are spending more time engaged with mobile devices than ever before. Smartphone apps have been increasingly used as a marketing resource. This helps in direct engagement with the customers, easy payment modes and targeted advertising. From apparels to vehicles, people want the entire purchase cycle right in their hands. On the other hand, people have also become well aware of spending within their budget and looking for the best vehicle which they aspire for. Now a luxury sedan or a premium hatchback is never out of budget thanks to aggregators like Sriram Automall India Limited (SAMIL) where one can find the right vehicle or equipment at the right price. SAMIL has become India’s largest service provider for exchange of used vehicles & equipment, with a presence in both physical andonline Bidding Platforms. 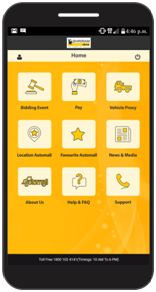 It has also gone digital and for the widespread use of their professional services for acquisition & disposal of used vehicles & equipment as they have launched the all new MySAMIL mobile application. The new mobile application is related to end user technology comfort with advance features. With numerous benefits of the app, one can have the ease of looking around for their favorite vehicle at ease sitting anywhere in the globe. I am completely satisfied with My SAMIL Mobile App and always use this for all my needs. It not only helps me in searching the right vehicle of my choice at the industry best rates but the quality is also as per the standards. Shriram Automall (Solapur), this 15th June’2017 i.e. Thursday, is going to complete one year of its remarkable existence. Company as its vision to be the largest exchange platform for trading pre-owned assets having tangible physical presence spanning all major cities of India, is committed to total customer satisfaction and continual improvement in performance by providing complete transparency in every transaction thereby building trust, reliability and value for its customers. On 15th June’2016, company took the initiative to provide an organized approach to the pre-ownedvehicle & equipment market in the area, while bringing a hassle free, innovative bidding platforms in the area. The facility is strategically spread across 6 Acres of land giving full access to the people in the area & nearby areas. Solapur is located on major road and rail routes between Mumbai and Hyderabad, with a branch line to the cities of Bijapur and Gadag in the neighbouring state of Karnataka. Company being the No.1 name for Acquiring & Disposing Used Automotives & Equipment; provide the area with huge variety of required used assets to choose from. Over the years Shriram Automall’s bidding event have become industry’s most talked about innovation. There is nothing more exciting than attending company’s bidding event to buy & sell used vehicle or equipment, as company gains a leading edge over its competitors for implementing, the most extensive line up of Used Vehicles & Equipments of all make & models with dedicated team for each segment. If you are an interested buyer or a seller of a used automotive or equipment, SHRIRAM AUTOMALL is the trusted name for optimal and convenient transactions. Visit the Solapur Automall, on Anniversary Bidding Event, and take home desired used asset of your choice. In past 6 years, since its inception, Shriram Automall, has created a name for itself at which we all are proud to look. SAMIL is the true name of trust and reliability, which has become the No.1 choice of customers all across the country. With large database of customers to serve, company has remarkably marked its presence in entire country through sprawling 68 Automall facilities, which offer to serve all kind of used vehicles and equipment requirements, of customers in every nook and corner of the country. As its endeavor to grow in every major city of the country, company has expanded itself quite exceptionally. Company by inaugurating its first Automall facility in Chennai on 26th February’2011, took its first step, towards the long term vision of “being the largest exchange platform for trading pre-owned assets having tangible physical presence spanning all major cities of India while providing high quality services to its customers”. As its 57th facility, company inaugurated a well established Automall in Latur on 14th June’2016. Automall was inaugurated in the area as company through its professional skills and long term experience, identified a great opportunity in that region of the country. Over the years Shriram Automall’s bidding events have become industry’s most talked about innovation. There is nothing more exciting than attending company’s bidding events to buy or sell desired choice of used vehicle or equipment, as company gains a leading edge over its competitors for implementing, the most extensive line up of Used Vehicles & Equipments of all make & models with dedicated team for each segment. On 14th June’2017, Latur Automall will be completing 1st year of its existence while serving people in and across the area through its exceptionally professional and convenient services. Automall is very efficiently located in Latur, as district is primarily agricultural. If you are an interested buyer or a seller of a used automotive or equipment, SHRIRAM AUTOMALL is the trusted name for optimal and convenient transaction. Visit the Latur Automall, on Anniversary Bidding Event, and take home desired used asset of your choice. You can also participate in the Live Bidding event from the comfort of your home through “Desktop Bidding Facility” & “My SAMIL App” or simply click the link below for easy registration. The “Make in India” initiative taken by PM Narendra Modi is an aggressive ambition to renovate India into a manufacturing and technology hub. It has acquired substantial attention from the industry and turned the spotlight on the manufacturing sector. The government of India aims to maintain this upward growth trend of the automobile industry and has launched several initiatives to achieve the same. The Automotive Mission Plan 2016-26 (AMP 2026) is one such initiative, It aims to make India among the top three automotive industries in the world and increase exports exponentially to reach 35-40% of overall output. Another initiative launched by the government was the Faster Adoption and Manufacturing of Hybrid and Electric (FAME) vehicles in India. Shriram Automall India Limited (SAMIL), being the No.1 and Largest Used Vehicle & Equipment Provider in the country, while playing its part in the Make in India Initiative provide the used vehicles compliant with latest norms. Visit your nearby Automall to participate in their innovative bidding platforms to acquire the used vehicle of your choice or click the link below for easy registration. INDIA - World’s Biggest Two-Wheeler Market To emerge as the World’s Biggest Two Wheeler Market, India took over China. It’s no more just a statement that “Slow & Steady wins the Race” as Indian Two Wheeler Segment has steadily been on the rise and is now right at the top of list, while displacing China from its perch. According to officials from industry body i.e. Society of Indian Automobile Manufacturers (SIAM) as well as data from the China Association of Automobile Manufacturers, India while making it total of 17.7 million two-wheelers, sold over 48,000 units every day, where neighbouring China sold 16.8 million units in total, last year. And the credit for this rise goes to the majority of young women in India, as out of every 4 Scooters sold, one scooter buyer is a women. The leading scooter brand HONDA, witnessed the 35% share of women for such a robust growth. Over the past few years, china has been on a decline, from 25 million or so, due to the fast-paced growth in car sales there as well as the curbs on petrol two-wheelers in top cities. On the other hand, Indonesia is holding on to the position of third-largest two-wheeler market with annual sales estimated at 6 million units, though here too sales have slipped from 6.5 million units sold in 2015. India’s emergence as the world’s largest two-wheeler market despite the demonetization effect in November and December 2016 reflects the rise in demand of Mobility in India. With such growth this fiscal we can expect the industry to rise further with steady demand & at a higher pace during 2014-2019 in urban as well as rural spaces. With industry witnessing the remarkable growth, we can expect the used two wheeler industry to grow as well. As for first time buyers, used vehicles are mostly the first choice. Not just that, for the buyers who have been driving vehicles from quite some time, used vehicles are becoming the first choice, as used vehicles don’t depreciate much at the time of re-selling, and also provide the best on-road experience possible to the buyer. Shriram Automall India Limited (SAMIL), the Largest Service Provider of UsedAutomotives & Equipment in India, has the huge line up of Two wheelers, which is lately the largest in demand segment of automotive industry. So whether urban or rural, if you are interested in buying or selling used two-wheelers visit your nearby Automall soon. You can find used two-wheelers of every make and model in the Automall. You can also download “MY SAMIL APP” or use “Desktop Bidding Facility” to make the deal at your comfort. If you are in hurry, then simply click the link below and register yourself, our professional team will help you with rest. Do you know your engine is a big chunk of metal, inside which are numerous other metal parts that move about and potentially crash together, to make your car run smoothly on road. It’s important to keep your car’s engine topped up with oil. First and foremost, it provides lubrication to all the moving metal parts, ensuring they don’t grind together and cause unnecessary wear or too much heat. I am sure you know that “Oil is the lifeblood of your engine”. Just like choosing the right oil for your engine is important for fuel economy, emissions, engine’s durability, efficiency and lifespan, it’s also important to check your engine oil level regularly. Even if you leave some services to a mechanic, it’s a good idea to carry out a few checks of your car on your own each month. And one of the most important is to make sure your car’s engine oil level is as it should be. Shriram Automall India Limited (SAMIL), the No.1 Platform for acquisition and disposal of used vehicles and equipment in India, is here to help you take care of your beloved asset like a pro. Turn off your engine and wait about 10 minutes to drain down the oil into the crankcase to get the most correct reading. Open your car’s bonnet & locate your oil dipstick. Re-insert the dipstick into the engine pushing it all the way down until it clicks back into place. Now you should have a clear reading of the amount of oil in your car. This goes for cars of any and every make & model. If you are looking forward to acquire or dispose used vehicle & equipment, you can visit your nearby Automall and go through SAMIL’s efficiently vast inventory. You can also download “MY SAMIL App” and easily go through the vast inventory at your comfort or you can simply click the link below & register yourself. The automotive industry in India is one of the largest in the world with an annual production of 23.96 million vehicles. What this number tells is that automotive industry in India is booming. Various segments come under one large automotive industry. Out of those segments only is the passenger vehicle segment. India is currently the second fastest growing market for passenger sales globally and it's grown by 7 per cent last year. India is known to have the biggest automobile markets and also is presently the leading one when growth is concerned. The passenger and commercial Indian automobile industry is among the top ten on global scale of its kind. There are large number of car brands and automobile companies from all over the world, who have set up base & not to forget the home grown Indian automobile manufacturers, launch new models with new safety features and technology to attract potential buyers. Though the latest trend in India and in fact globally is the SUV segment, carmakers are not shying away from introducing cars in other segments. As this is no news, that ratio of used vehicles over new one is 1:1 i.e. every new vehicle sold becomes the base of the used vehicle industry. Therefore demand for used vehicles is growing at a remarkable speed as well. Shriram Automall India Limited (SAMIL), the brand which provides the largest platform for acquisition & disposal of used vehicles & equipment in India understands how brand name is important for the surety of after sale services and for long term results. On basis of the market share you can find used vehicles in SAMIL’s inventory. So, visit you nearby Automall today to bring home desired used vehicle of your choice at optimal prices. You can also click the link below to register yourself. If you are an owner, of an automotive, that simple means you regularly visit petrol pumps, to help your automotive get filled with the petrol /diesel. But do you know, that even after paying full attention to the screen where you can see the right amount of liters, that your vehicle is getting, you can still be conned by the petrol pumps. As & when we visit petrol pumps to get fuel for our automotive, we mostly check the display of the fuel dispensing machine for the amount and the quantity of the fuel filled. But how would you know that, petrol pumps use a remote-controlled electronic chip to dupe consumers. Petrol pumps install a chip inside the fuel dispensing machine, which is designed to reduce the fuel output by nearly five to ten per cent. A chip cost Rs. 3,000 which is attached to a wire, which sets the limit through a remote control, due to that on one litre of petrol machine releases only 940 ml of petrol. According to STF (Special Task Force) of Indian Government, these chips have been sold to a number of petrol pumps in the country, which makes them earn an undue profit of around Rs 14 lakh per month; this is also the illegal profit. Not just that, with the long term practice, petrol pumps guys have become so smart, that you will never know that you have been conned. You have no idea but you might be losing a couple of thousands each year because of this scam which probably goes on at each petrol pump. When you ask them to fill up your tank, with petrol of Rs.1000. Petrol pump guy will only set the meter to Rs. 200, and when you will ask him that why they did that, they will pretend that they heard you asking for petrol of Rs. 200 only. And then he will act like he is resetting the meter to 0 & then to 1000, but what he actually will do is set the meter from 200 to 1000 i.e. Rs. 800. That’s when you will be fooled, as you will only get the petrol for Rs. 800 in the amount of Rs.1000. Shriram Automall India Limited (SAMIL) has bought the solutions by which you can ensure your vehicle to get the exact amount of petrol you have paid for. · While your visit to the petrol pump, try to place your vehicle closer to the petrol machine, in order to let the pipe suspend evenly to ensure better flow. · Try to ensure that the quoted amount for filling the fuel is not a round figure i.e. Rs 500, Rs 1,000 or Rs 2,000. As there is the fair chance, that petrol station has already tweaked machines according to such figures. Buying fuel for Rs 575 or Rs 1075 makes it difficult for the staffers to cheat on customers. · Ask the petrol pump guy not to press the nozzle button while the petrol is being filled as this can slow down the flow of the fuel. · Always refrain from suggestions, where staffers recommend filling more fuel to make it a round figure. We, hope this blog to be of your help. If you are looking forward to buy or sell used vehicles & equipments, visit your nearby Automall now for most optimal deals of all time. You can also click the link below for easy and convenient registration. Looking for a Car-Part Replacement? With time, just like human body, our car also faces health issues in different parts. Sometimes you don’t need to spend extra bucks on your car parts, but sometimes you do, as on the basis of how you drive your vehicle and where you drive your vehicle can increase or decrease the rate at which certain parts of your car wear out. An aggressive driver will obviously wear out the brake pads on his vehicle much more quickly than someone who is a more normal driver, similar goes with other parts as well. You don’t necessarily need to replace the above parts on time or millage intervals, but this will just give you an idea on what to expect down the road. We understand how replacing car parts can be confusing, especially when unknown of the part to be replaced and from where. Thereby Shriram Automall India Limited (SAMIL) has brought the auto parts buying guide, which will help you learn about from where to buy your Car part and why. Buying new parts, that too of OEM (Original Equipment Manufacturer), can be expensive, but without any doubt more long lasting. If you take your car to the dealership, they are only going to use brand new OEM parts, therefore as compared to others, these parts are more expensive, but durable. Sometimes, you don’t need to replace you car parts with OEM Parts, but sometimes you do. But when you don’t you can always take your car to the repair shop for After Market Parts, as they are comparatively less expensive and you will also get the repair shop warranty for the specific part. In cars there are some parts, that doesn't need to be new and no one will ever see (like a PCM, transmission, etc. ), for them used parts is a great way to go. As it’s cheap, durable and will not hamper your budget, but there are some things you need to take care of while buying used parts, so don’t you forget to ask the sales man lots of questions, while going through the particular used part in person. We hope all this knowledge to be of your help. If you are interested in Buying a Vehicle, why not go for Used this time? As in the budget of new, you can buy a better Used Vehicle of any make and model of your choice. Visit your nearby Automall today or Click the link below to register yourself to go through our vast inventory. Shriram Automall India Limited (SAMIL), Largest Platform for Acquisition & Disposal of Used Vehicles & Equipment in India, in a very short span of time has marked its presence all across the country, through 150+ bidding Locations & 67 Automalls. All this was only possible because of the people, who made us their No.1 choice and called forth our Best. Since inception in 2011, with an aim to be the only name in Used Automotive & Equipment market, we have made Customer Perception our Reality and their satisfaction our Business Strategy. Through multiple innovative platforms like Physical Bidding, Online Bidding, and Private Treaty, Company has made it quite easy for customers in every nook and corner of the country to acquire or dispose used vehicles of any and every make and model. Not just that, being the company that provided transparency to opaque used Automotive & equipment segment, SAMIL look forward to grow technological & much more convenient with new advancements, thereby bringing facilities like “Desktop Bidding” & “MySAMIL App”, using which customers can participate in live bidding events from anywhere and everywhere. Associating with Shriram Automall has been a great experience, so far. Company offers wide range of used vehicles at negotiable prices and extremely good after sales services. Everything about Shriram Automall is professional including the services and huge range of used vehicles & equipment it provide. Company gives me the power of choice and also helps me to choose the right used truck. SAMIL is the name that is willing to go an extra mile for the sake of its customer satisfaction. So, visit your nearby Automall today to buy or sell used vehicles & equipment from anywhere and everywhere in India at optimal prices. You can also click the link below to register yourself.